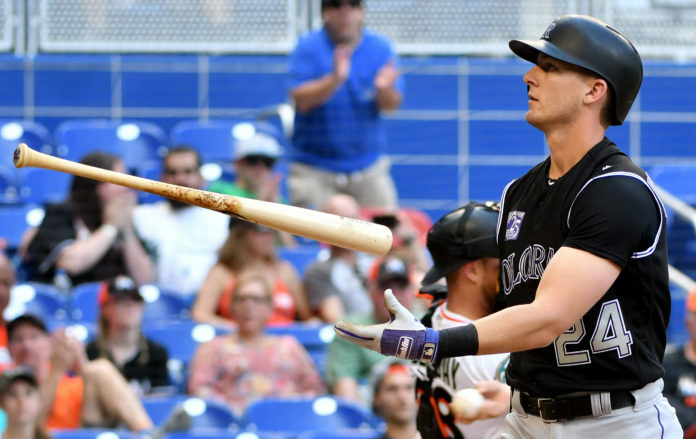 The Colorado Rockies were defeated by the Miami Marlins 3-0 Sunday afternoon at Marlins park, dropping the rubber match on Sunday and barely putting up a fight in the process. 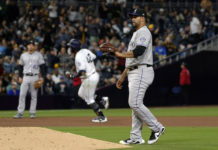 Marlins Park continued to be a house of horrors for the Rockies as the team struck out 14 times and was held to just four hits. The Marlins held the Rockies to just one one run or fewer in all three games against Colorado. The last time the Marlins did that in a three-game series was June 11-13, 2015… against the Rockies. Miami outscored Colorado 7-2 in the series and held the Rockies to just 15 total hits. The Rockies have now fallen to 7-17 in their short history at Marlins Park. Colorado leads the National League in home runs, but that offensive power failed to travel with them to Miami. 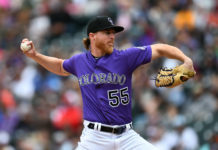 Colorado wasted yet another quality start from their pitching staff Sunday afternoon, after failing to give Chad Bettis any run support. Bettis was strong Sunday, throwing seven innings, allowing just two runs, and striking out five. Bettis has been the most consistent pitcher on the Rockies’ staff this season, and Sunday certainly proved that. Marlins starting pitcher Caleb Smith struck out nine Rockies batters while pitching seven shutout innings. In the process, he collected his first big-league win. Two Marlins relievers were able to continue the dominance into the eighth and ninth innings as Drew Steckenrider struck out the side in the eighth, and Brad Ziegler closed out the ninth, earning his third save of the season. 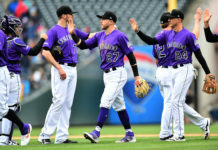 The Rockies still possess a respectable 15-14 record but look to find an offense that has been so inconsistent for them all season. With Carlos Gonzalez returning from the disabled list soon, the Rockies have some decisions they need to make regarding their young outfielder David Dahl. Dahl has recored a respectable .273 batting average while driving in three RBI. Colorado has a crowded outfield and keeping Dahl on the big-league roster may force Gerardo Parra to the bench. Colorado moves on to Chicago, looking for a reversal of fortune against the Cubs on Monday.